Client Portal integrates with WordPress to help you manage your client projects… without the bulky project management software. Freelancers, we need to talk. We know how frustrated you are with clients hounding you for documents you’ve already sent them…multiple times. And while you want to yell “I sent it to you two months ago, Ahmed!”, you’re not going to do that. No, what you’re going to do is stop working on what’s important so you can find and resend the deliverable in question. But what if there was a place clients could easily locate files, contracts, etc.? Now there is. Introducing: Client Portal. Client Portal is a beautiful dashboard that lives on your WordPress site and keeps all your projects assets in one place. 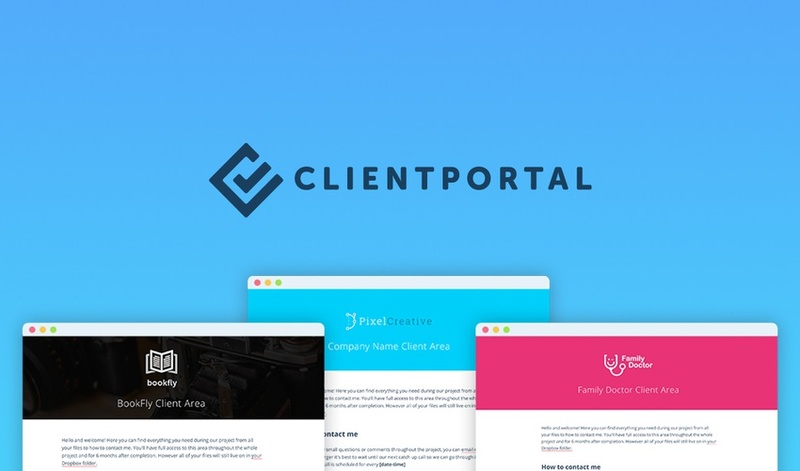 If you’re a designer, copywriter, consultant, or anyone looking to streamline onboarding and the way deliverables are passed, then Client Portal is for you! Organize everything you’re working on into one beautiful, proficient portal. Get lifetime access to Client Portal for just $39! Remember: You can use Client Portal on an unlimited number of sites by stacking two codes! Start being more professional now! Client Portal Lifetime Deal is Closed Now!